Fabergé was arguably the greatest jeweller of the 19th century, surpassing even Cartier and Boucheron. Famed for the fabled Imperial Easter Eggs made for Russia’s rulers, Fabergé objects were impossibly lavish and distinctive. But the firm’s fortune waned after the 1917 revolution, resulting in the name changing hands several times in the 20th century, appearing on products as embarrassing as perfume and cologne. After some undergoing corporate tussles in the early mid 2000s the Fabergé name finally ended up in the hands of Gemfields, a gemstone miner listed in London. After acquiring control in 2013 Gemfields rebooted the firm’s jewellery and watch business to make the Fabergé relevant once again. 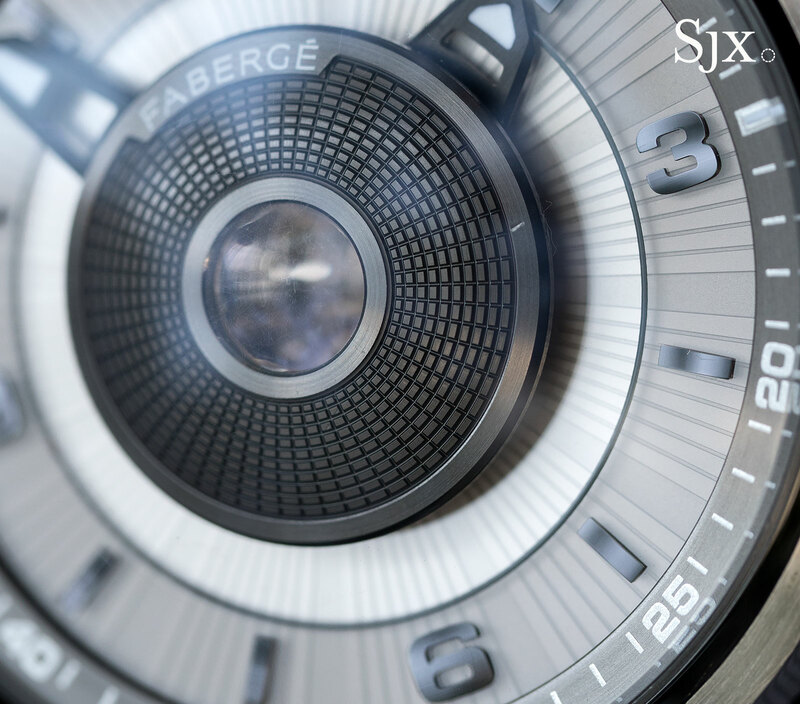 Fabergé watches got off to an ambitious start when they made their debut last year with a pair of watches. 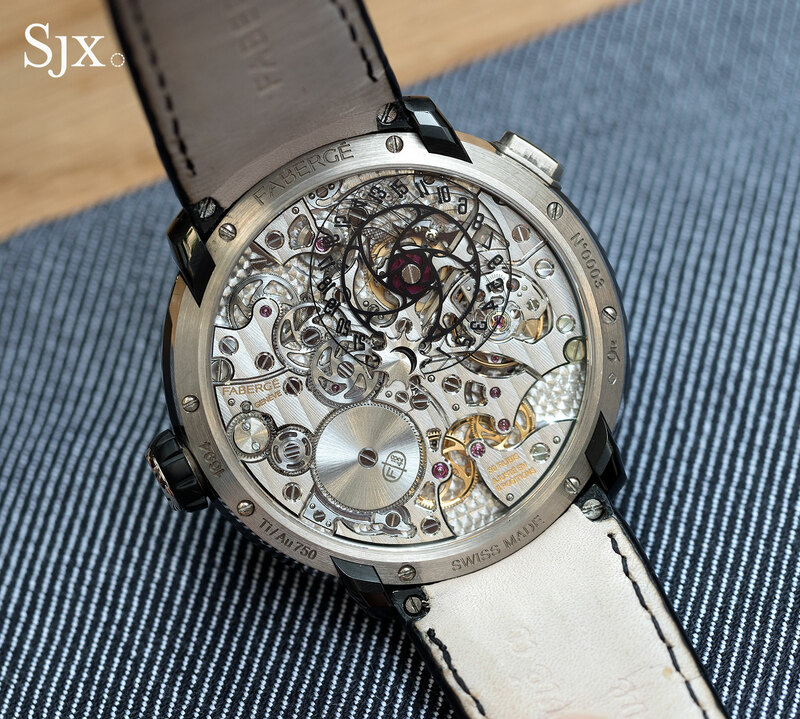 The first was a men’s tourbillon produced by Renaud & Papi, the complications subsidiary of Audemars Piguet. And the second watch was the Lady Compliquée Peacock, a jump hour with fan-shaped retrograde minutes in the form of a peacock’s tail. Charming and creative, the Lady Compliquée Peacock was powered by an Agenhor movement, just like this year’s Visionnaire DTZ. The Visionnaire DTZ is a large 43mm in diameter, with the case made of 18k gold and titanium; the bezel and back are gold, while the middle and lugs are black-coated titanium. 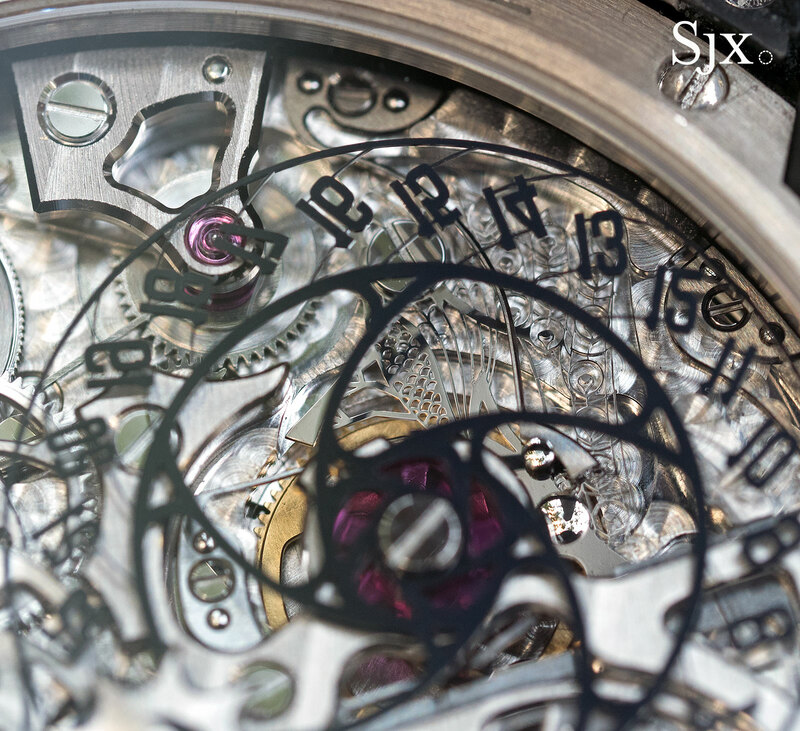 While the case is relatively simple, the dial is complex and visually compelling. It’s dominated by a dome in the middle for the second time zone, surrounded by a clear sapphire chapter ring with applied markers for the hours. 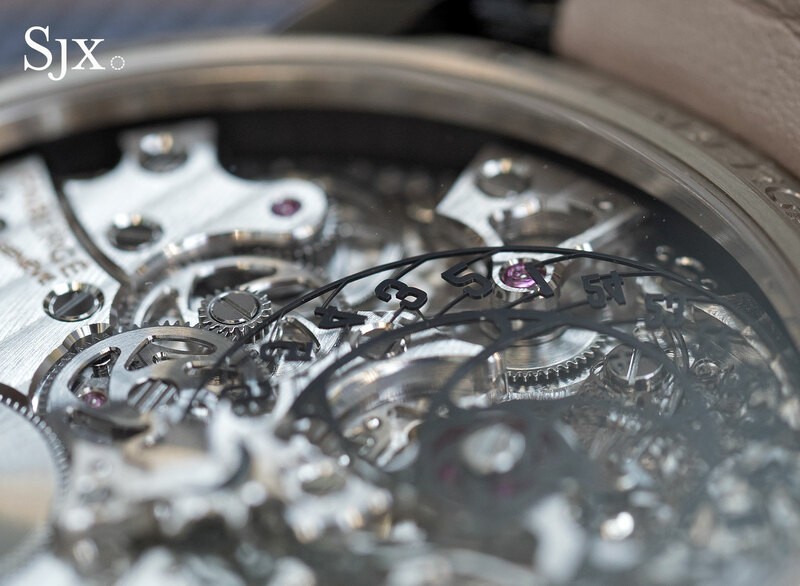 And just below the sapphire ring is the dial-side rotor, an intriguing feature explained further down. 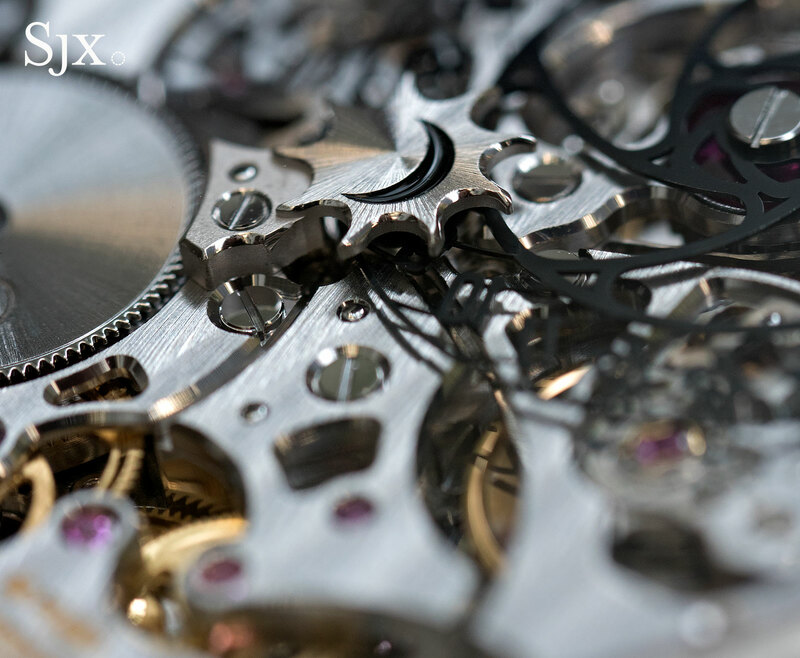 Modern is the defining look of the watch. 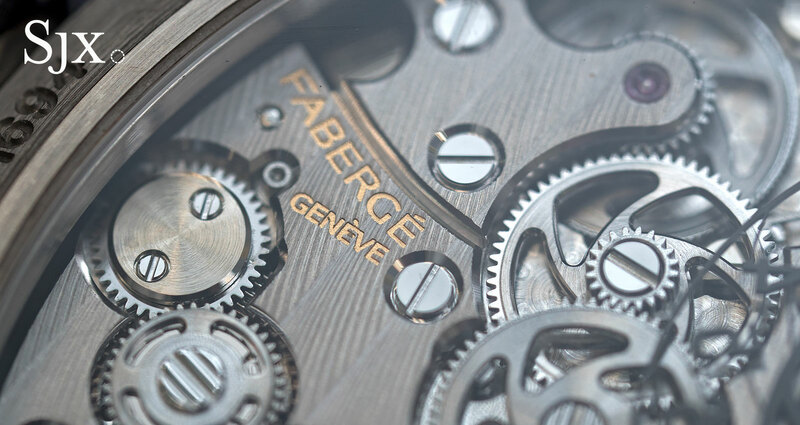 While the styling is appealing, especially with the depth and detail of the dial, it’s incongruous with historical Fabergé. The Russian jeweller was synonymous with exceptionally elaborate objects decorated in brightly colour vitreous enamel and fancy guilloche. 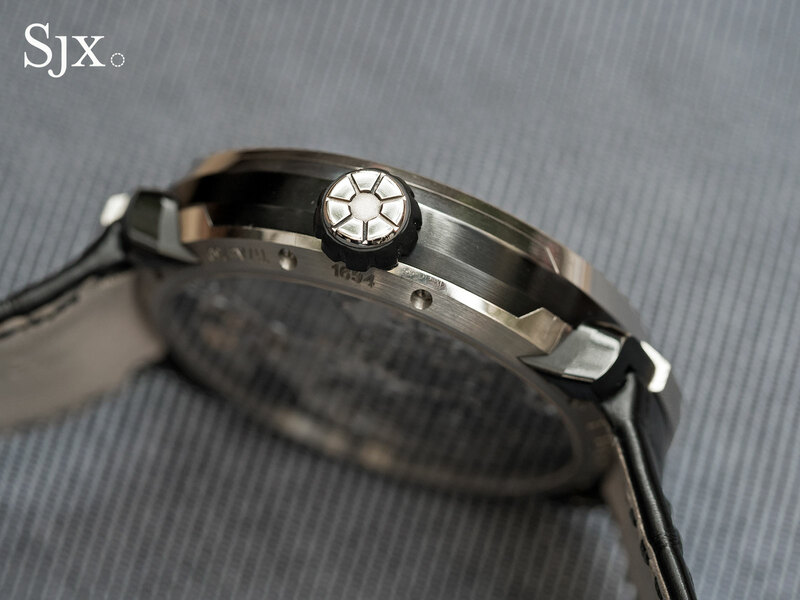 That being said, the design of the watch suits the style of the movement, which is definitely the best thing about it. 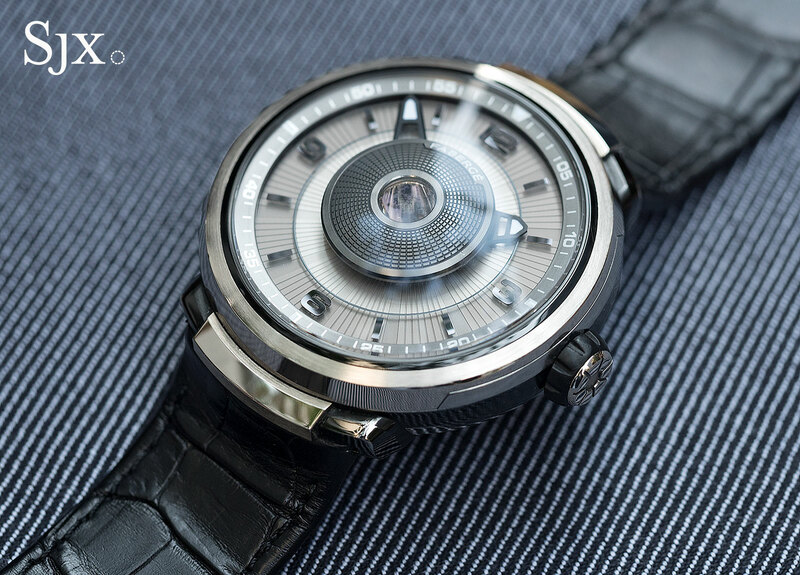 The AGH 6924 movement inside the Visionnaire DTZ – short for “dual time zone” was designed and built by Agenhor, the Geneva-based complications led by Jean-Marc Wiederrecht. 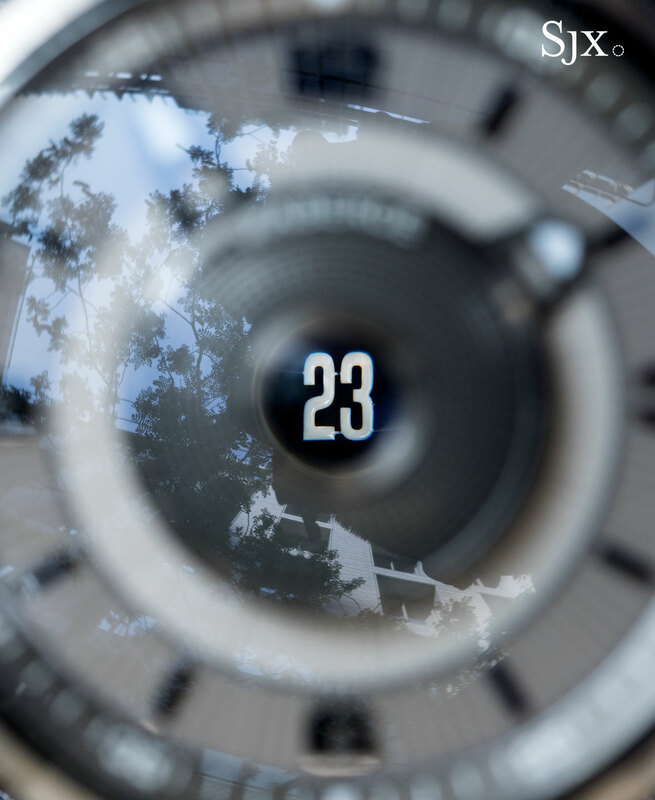 Though little known outside watchmaking, Mr Wiederrecht is one of the great talents of contemporary watchmaking, with Agenhor being responsible for movements as diverse as the Slim d’Hermes perpetual calendar, the charming repeaters by Van Cleef & Arpels, and MB&F’s sci-fi HM3. 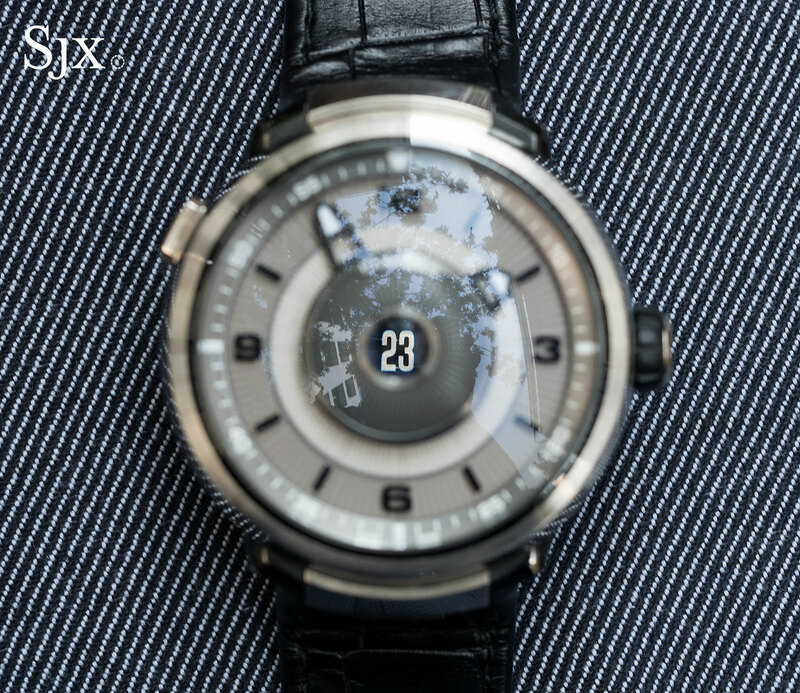 The Visionnaire DTZ movement is novel in three ways, starting with the second time zone that’s a jumping hours. The second time zone uses a 24-hour scale, the need for a day and night indicator is eliminated. 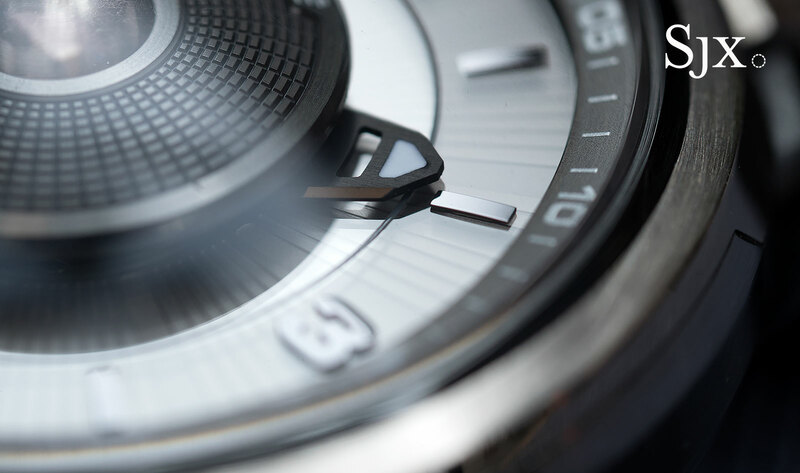 Local time is shown via conventional hands, while the home time zone is inside the porthole set into the raised dome on the centre of the dial. 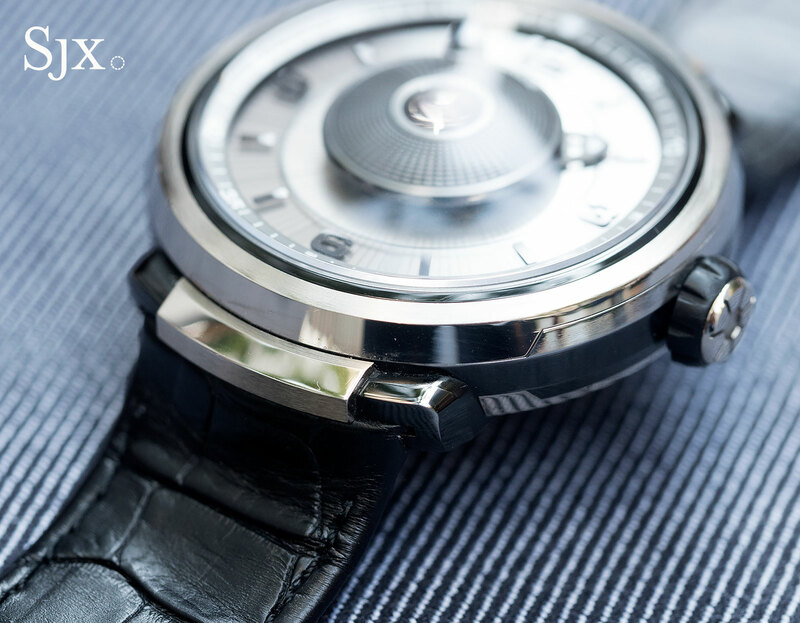 With a pusher to advance the second time zone, the dual time function is easy to use. That being said, the jumping hour home time zone is set deep into the dial, rendering it legible only when looking at the dial straight on, which is a weakness. But the jumping hour time zone looks the way it is stems from the ingenious construction of the movement. Typical of the creative, sometimes even lyrical, approach Agenhor takes to movement construction, the AGH 6924 inverts the jumping second time zone. 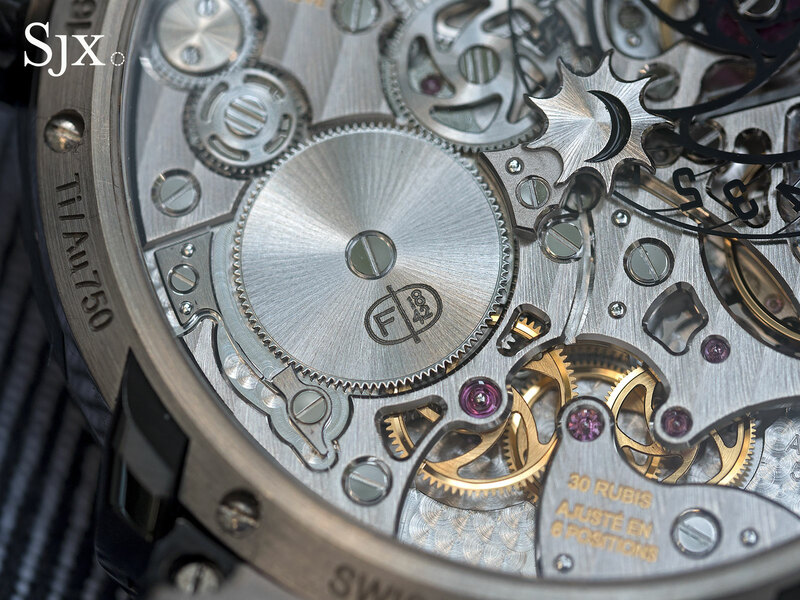 Instead of being under the dial as it normally is, the second time zone disc on the back of the movement. 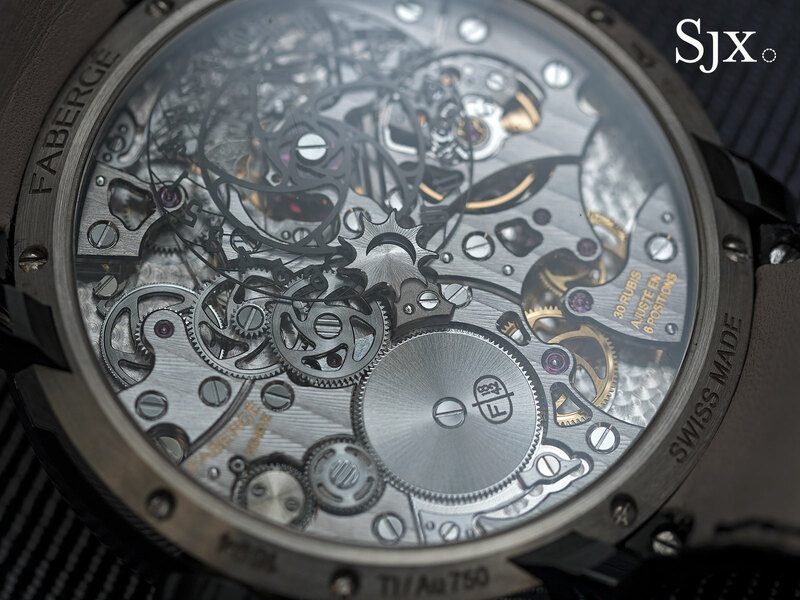 It’s a skeletonised disc sitting above the movement bridges, with the current hour being magnified several times thanks to a lens that sits far above on the plane of the dial. 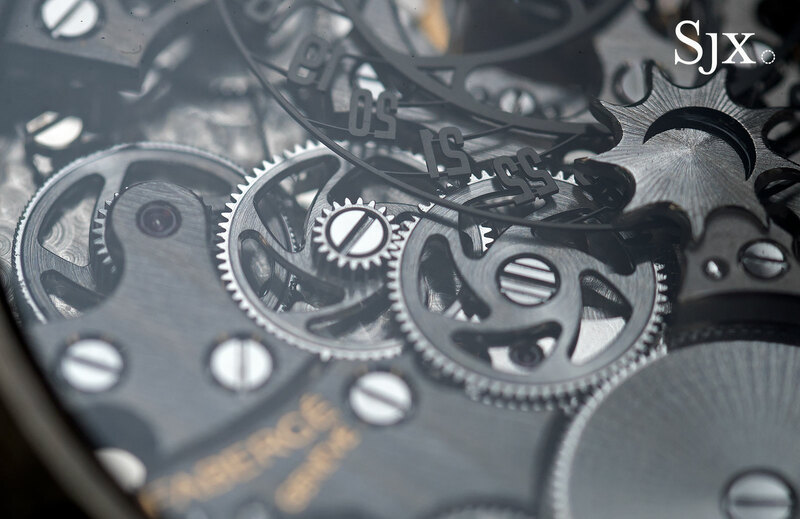 Like many of the intricately-shaped movement components that Agenhor favours, the skeletonised hour disc is produced via UV-LIGA, a high-tech addition process that grows metal components layer by layer. 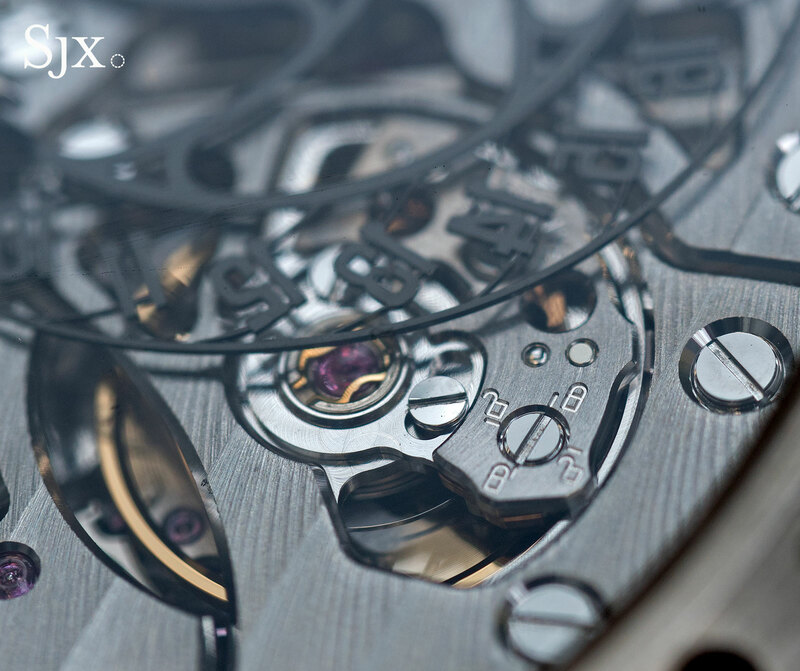 Another novel feature of the movement is the invisible rotor that sits under the dial. 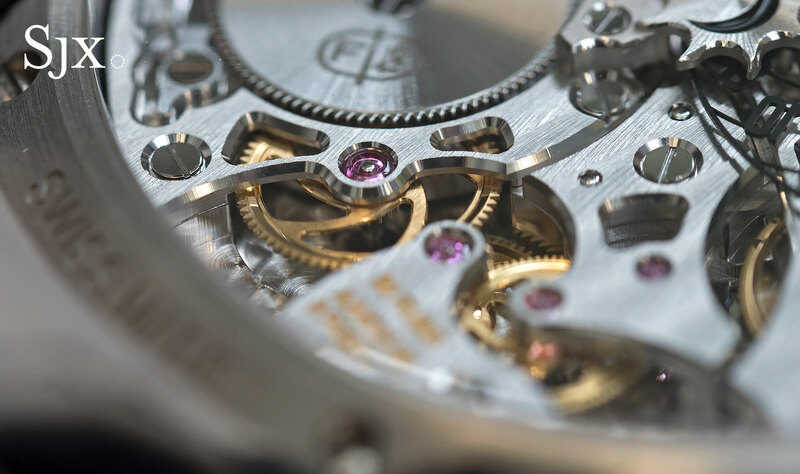 Located just under the chapter ring that holds the hour markers, the rotor is a silvered disc with radial stamping, only revealing itself as an oscillating weight when the watch is moved. 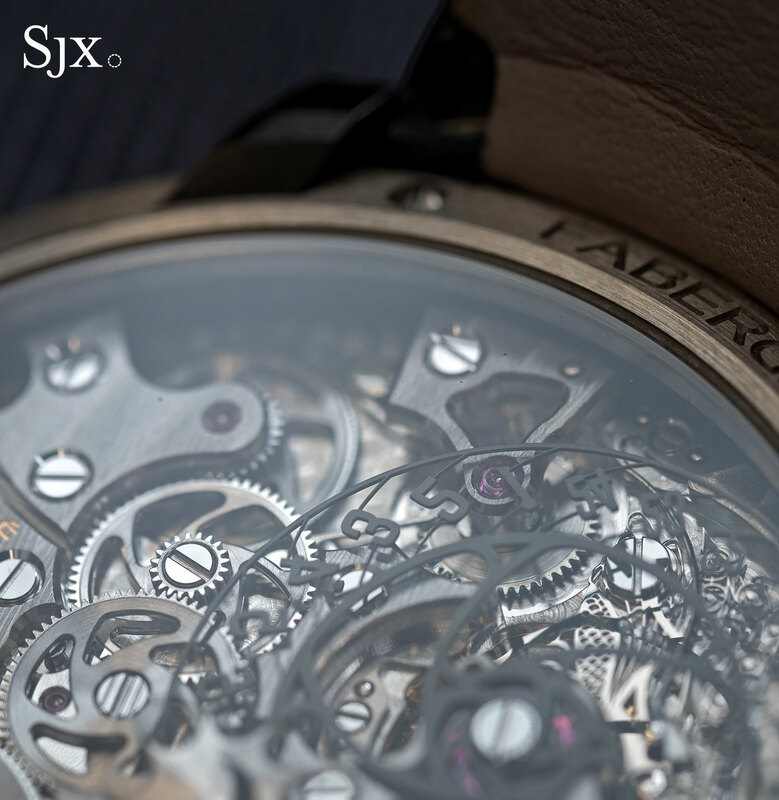 Just as compelling as the technical features of the movement is its styling. 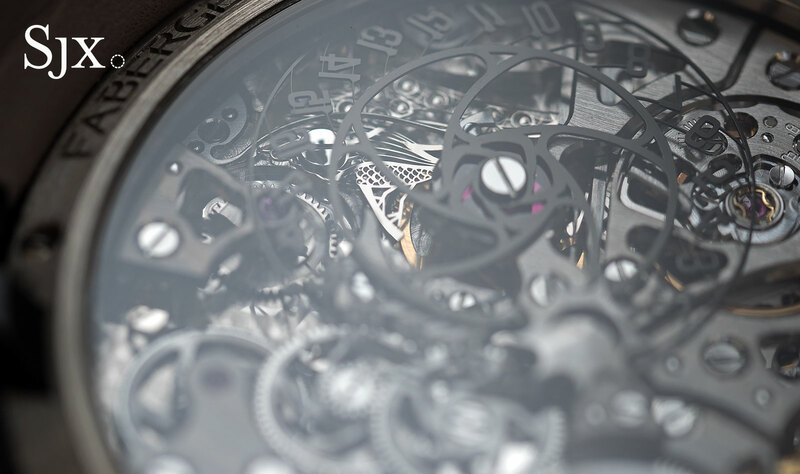 The movement has a lot of visual appeal, not in a traditional manner like Dufour or Voutilainen, but in modern look that’s attractively intricate. 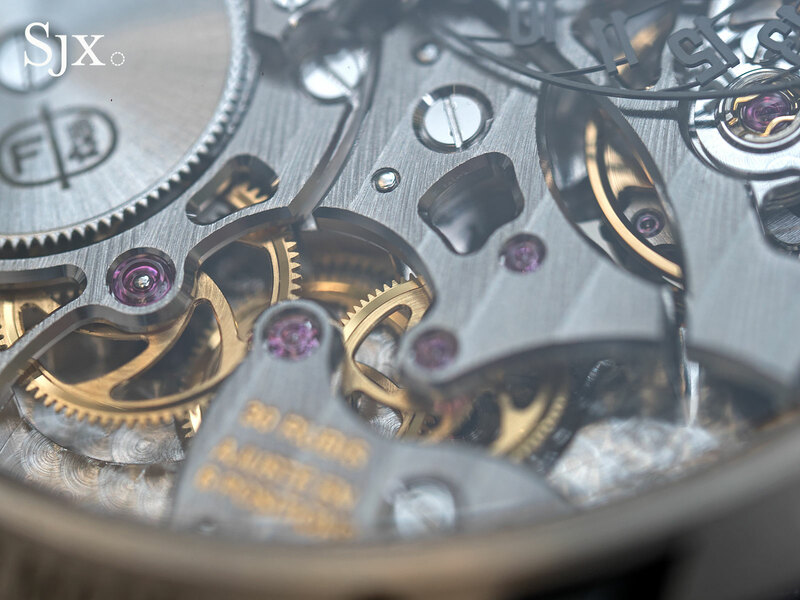 The finishing of the movement is careful and appealing, done in a manner comparable to movements that boast the Geneva Seal from brands like Chopard and Roger Dubuis. Multiple bridges cover the movement, with artful apertures to show off the wheels of twin gear trains, one for the time and the other for the second time zone. 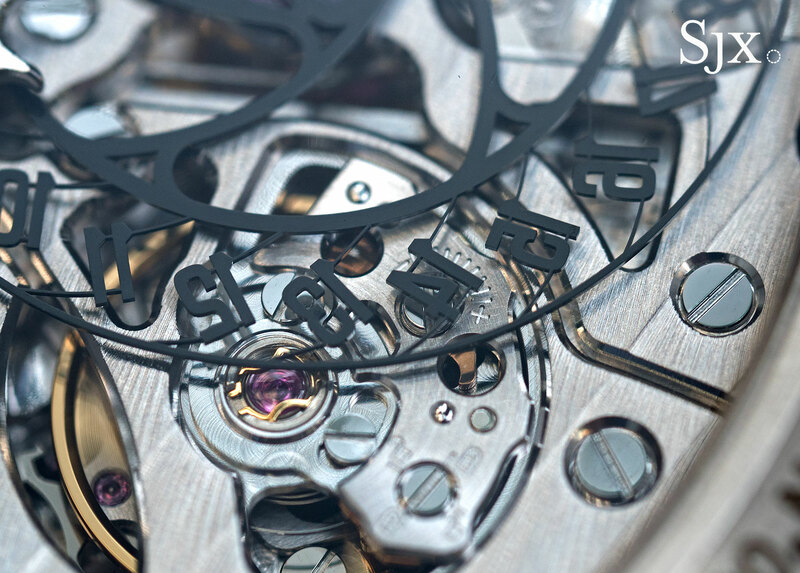 The detail even extends to the balance bridge, which is engraved with a guide for locking and unlocking the regulator index. 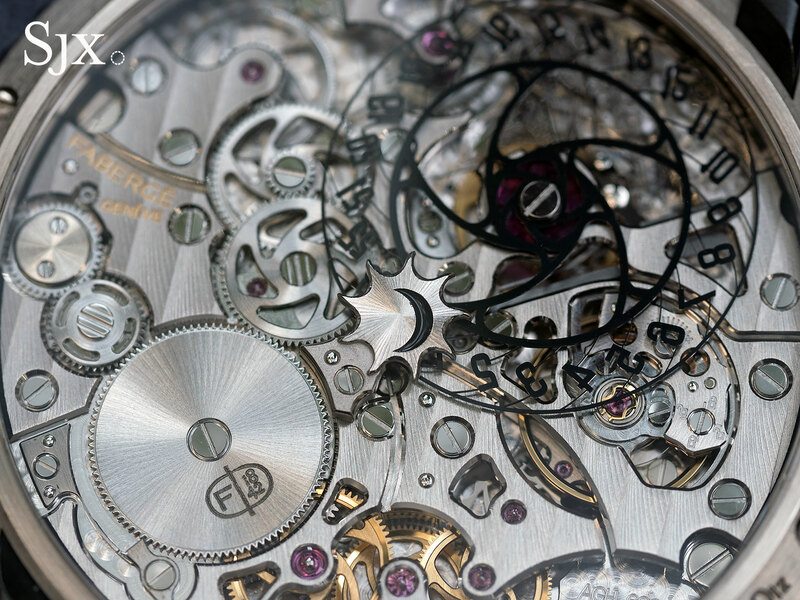 A particularly delightful movement detail is the lever that jumps the second time zone disc. Partially visible beneath the bridges, the lever is open-worked and shaped like a peacock – a recurring motif in Faberge’s repertoire – and linked to a hidden snail cam that takes the form of a bushel of wheat. So each time the hour jumps, the motion of the mechanism resembles the peacock feeding fr0m the bushel of wheat. 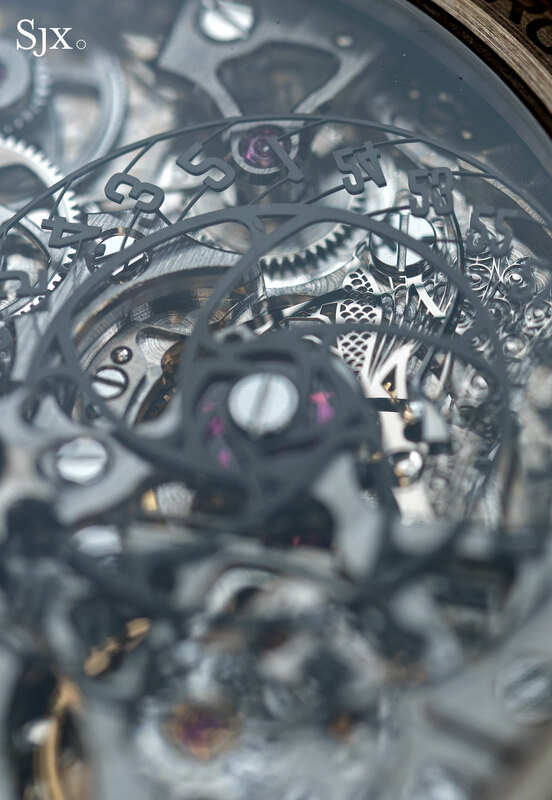 These components are produced with the same UV-LIGA technique as the skeleton jump hour wheel, the only method to achieve such complex shapes. 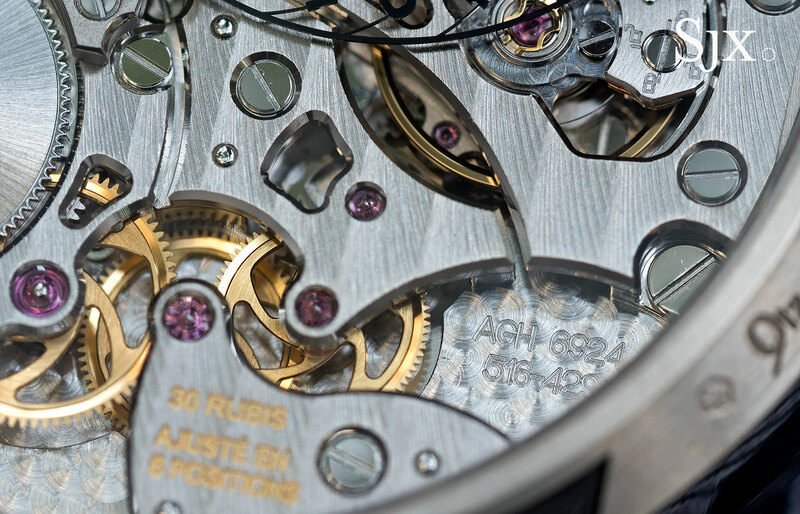 Both the peacock- and wheat-shaped components lever exemplify the poetic side of Agenhor, which always includes in its movements components that reference to the watch or brand, even if such parts remain hidden. Other calibres created by Agenhor have includes components shaped like rockets or figures. 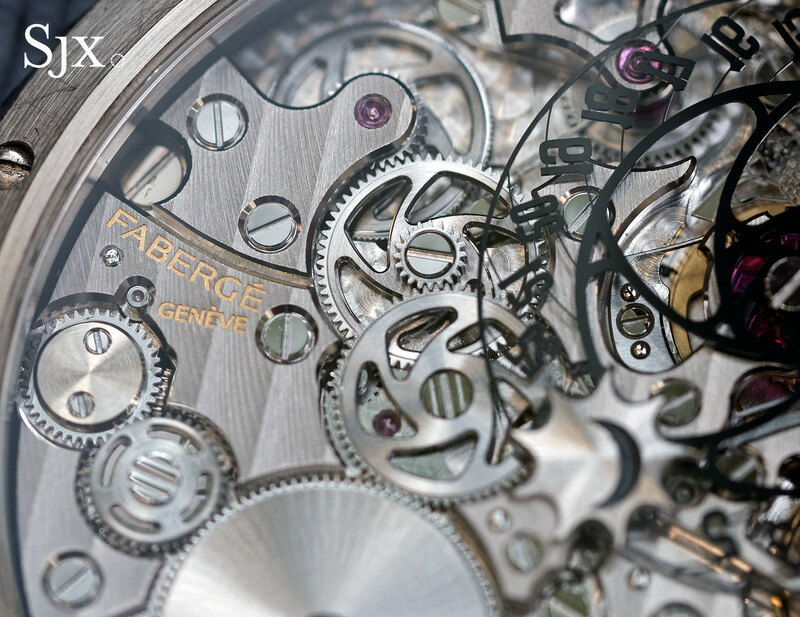 A lesser attempt to revive the Faberge brand, for instance with a low-end stock movement, would have been doomed to swift failure. The technical prowess of the Visionnaire DTZ gives it credibility, not enough in itself to assure success, but a solid start for a fresh brand. 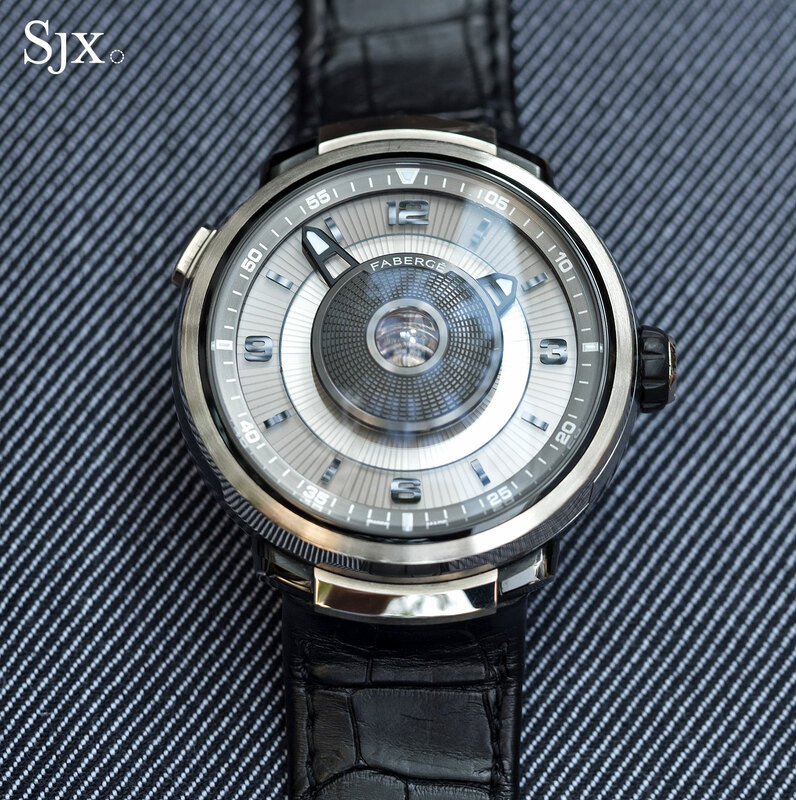 The Visionnaire DTZ is priced at US$29,500, and available from Fabergé retailers. 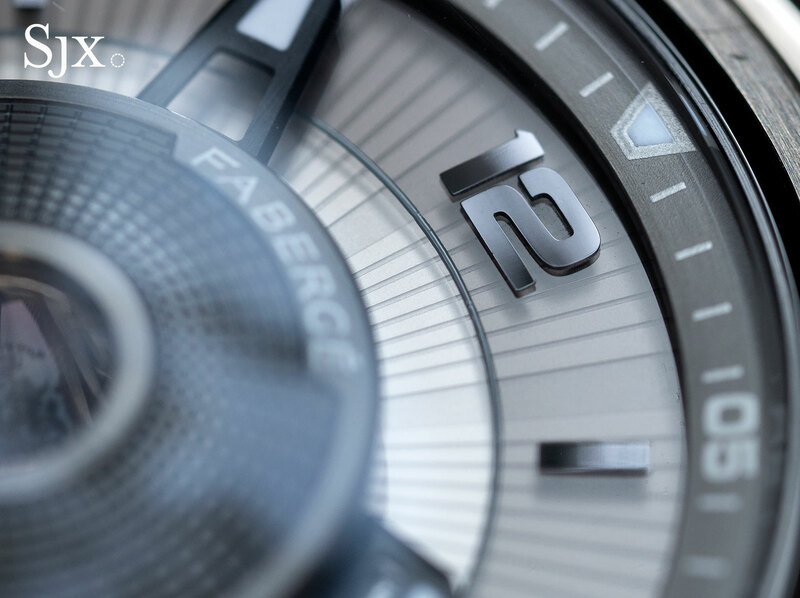 Correction November 23, 2016: Faberge’s inaugural range of watches consisted of the Visionnaire tourbillon and Lady Compliquée Peacock, not just one watch as previously stated.